20/20 vision at any age? Yes, it is possible. Home > 20/20 vision at any age? Yes, it is possible. Nowadays modern society is unimaginable without smartphones and computers, and while more and more people find themselves inseparable from them, cases of eye problems are also increasing. Myopia, Astigmatism and Hyperopia at younger age and Presbiopya and Cataracts at older age create a great need for professional and affordable eye treatment. BGN Eye Hospital is a general eye hospital that provides all kinds of ophthalmological treatment including LASIK & LASEK Laser vision correction, ICL surgeries, Cataract and Presbyopia correcting multifocal IOL surgeries, Glaucoma and Retina diseases treatment, comprehensive Eye check-ups and Dream Lenses. If you suffer from poor vision due to astigmatism, myopia or hyperopia, Lasik surgery is a great choice to toss out your spectacles while you are in Korea! LASIK is an eye procedure that permanently changes the shape of the cornea in order to improve vision and reduce person’s dependency on glasses or contact lenses. This is a safe, painless and fast procedure that is chosen by millions of patients all over the world. Why choose to do it in Korea? The main reasons would be most advanced technologies, absolutely safe and fast procedure and very affordable prices compared to United States, Western Europe, or other countries, that have well-developed medical technologies. 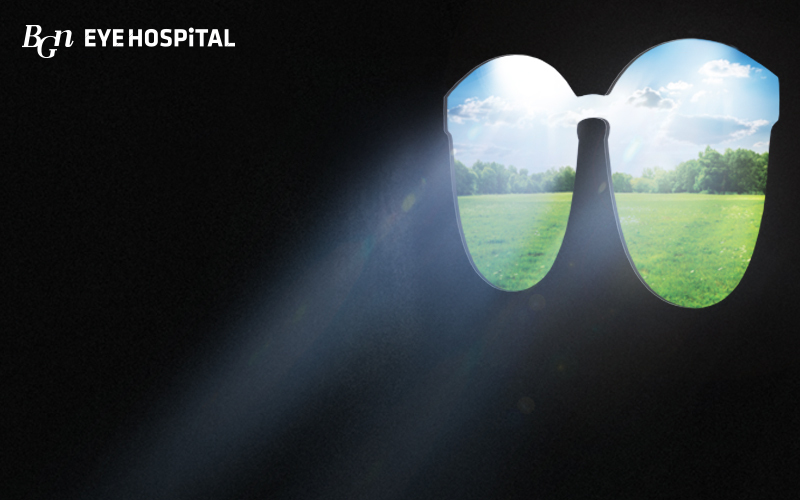 BGN Eye Hospital promotional prices for Lasik&Lasek laser vision correction surgeries start as low as 990,000 krw. 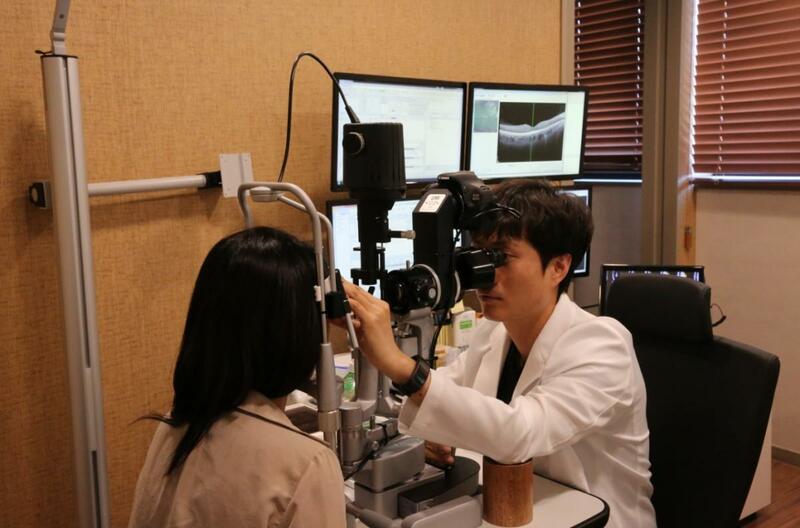 Besides, great service is also one of the reasons you should consider having your vision correction in Korea. BGN Eye Hospital Busan offers free examination and consultation for Lasik surgery, which is the fastest way to find out whether you are a right candidate for Laser vision correction. Comprehensive Examination and consultation takes 1,5 hour, and you will receive all recommendations for the surgery that is the most suitable for you. BGN Eye Hospital also provides a free 1 night business hotel service for people from other cities, who would like to have Lasik surgery. Examination and surgery dates are customized according to patients need, as well as one day examination and surgery is also possible, for those, who cannot afford spending much time at the hospital. And what are the solutions for those who are not candidates for Lasik anymore? Sometime after 40 most people begin to notice the effects of Presbyopia. Presbyopia is a loss of elasticity in the lens which makes it more difficult to focus on things. The crystalline lens becomes less able to adjust properly to focus on nearby objects. Another common problem is cataracts, which is a clouding of the normally clear lens of your eye. Cataracts develop slowly over time and affect people over age of 45 — about half of the population develop cataracts by age 60 in one or both eyes. Just 20 years ago, it was almost a dream to have perfect vision both close up, at intermediate and far distances after cataract surgery, but now there is a solution. Modern Multifocal and Trifocal Lenses are lenses that have different powers in the center of the lens and another power at the border. These different zones of lens power work together to provide the eye with near, intermediate and far distance vision. Subsequently, Multifocal Lens can correct Nearsightedness, Farsightedness, Astigmatism and Presbyopia. Besides modern trifocal Intraocular lenses help patients see with reduced glares and halos at night compared with other types of conventional lenses. This is why the implantation of the intraocular lens is the most suitable solution for patients over 40 years old, who suffer from high level of myopia. In difference with ICL surgery, which can only correct a high degree of myopia and astigmatism up to -20 dioptres, multifocal lenses will help you to get rid of presbyopia (age related long-sightedness) forever as well. BGN EyeHospital offers a customized choice of IOL for each patient depending on their needs (correction of myopia, presbyopia, astigmatism). Therefore the cost of the surgery becomes very attractive. Not to mention that you invest in your 20/20 vision once for all, because after the lens replacement surgery occurrence of cataract is impossible, and operation is performed only once in a lifetime. BGN Eye Hospital always makes maximum efforts to provide the best service for its patients, that`s why we also provide direct billing service for international insurances, such as Bupa Global, CIGNA, AETNA, GBG group and other global providers. Direct billing service is provided both for inpatient and outpatient services for our patients.